The technology consists of a continuous “train” of carrier units equipped with high-friction belt conveyors, each independently operated. Items are transferred with their length perpendicular to the direction of transport, kept aligned, centered and controlled during all transportation. The discharge into the assigned destinations is active with no impact, gravity or tilting. GENI-belt™ can gentle handle a large range of products at very high speed, while providing high throughput and accuracy rates. 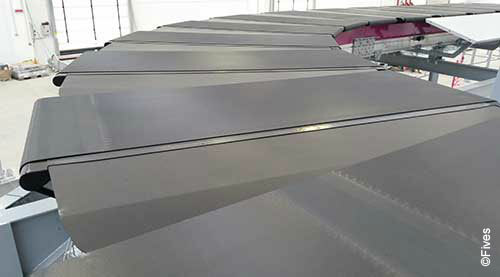 The flat and sealed conveying surface prevents products from jamming, slipping, rolling or falling into moving parts. 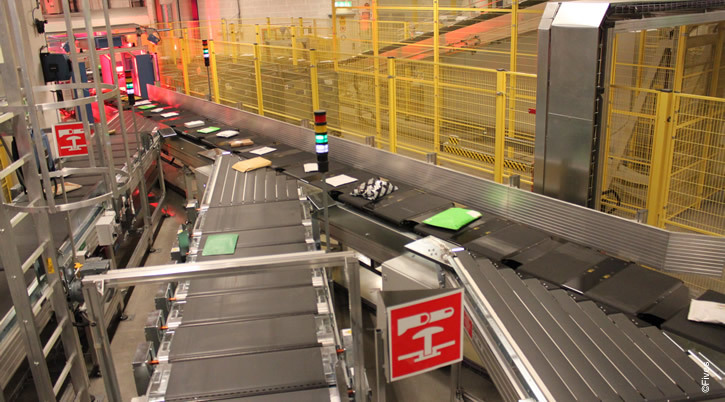 baggage handling systems at airports. Suitable for many kinds of operations: shipping, handling of returns, order fulfilment, EBS and HBS, etc. 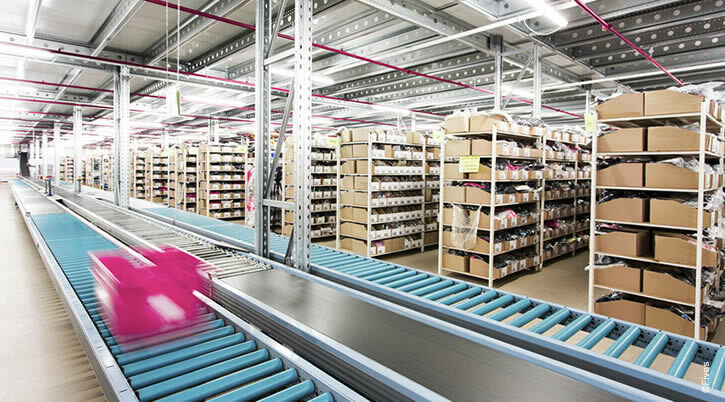 Using digital communication, each type of item, even the unstable, light, thin and oversized one can be handled thanks to variable sorter speed up to 3m/s and adjustable sorting unit acceleration during item sortation. 99.99% of accuracy thanks to adjustable sorting unit acceleration during item sortation and off-loading trajectories that can be adjusted according to position, weight and speed of each item. GENI-belt™ MD is sustainable equipment branded with Fives Engineered Sustainability® thanks to its innovative design and improvements compared to previous SBIR MD cross-belt sorter.